The Wet’suwet’en people have never signed treaties with Canada or sold their lands, a fact confirmed by Canada’s Supreme Court in 1997 in a landmark case known as Delgamuukw. When TransCanada attempted to deliver a Canadian court injunction against the Unist’ot’en checkpoint, they were stopped by a second checkpoint on the route, on Gitdumt’en Territory. The injunction was then expanded Friday, December 21, 2018, to cover the entire forest service road, including the second checkpoint. The new order was approved by B.C. Supreme Court Justice Marguerite Church, after hearing submissions from Coastal GasLink lawyer Kevin O’Callaghan during a brief hearing at the Prince George courthouse. The Gitdumt’en checkpoint has been publicly supported by hereditary chiefs of the Office of the Wet’suwet’en, the Union of BC Indian Chiefs, among others, and on December 20, 2018 were joined by the Canadian Union of Postal Workers. 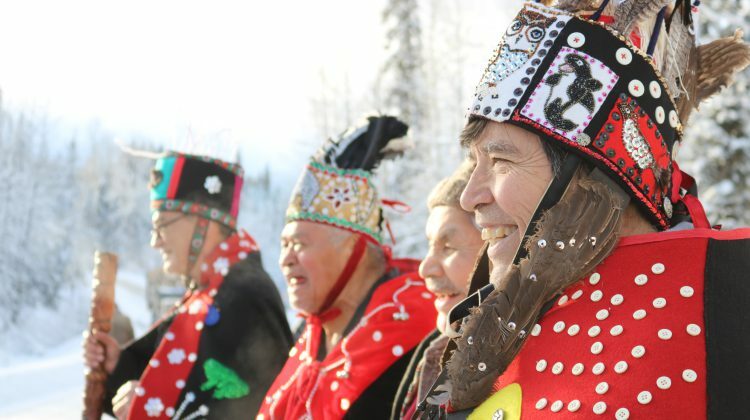 Chief Na’mocks Hereditary Chief of the Wet’suwet’en said the Hereditary Chiefs have never signed a paper or had a conversation about giving up authority over their land.